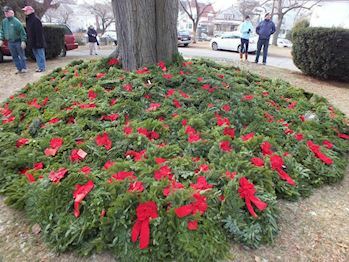 Thank you for your group's interest in raising funds to sponsor wreaths to help us remember and honor veterans laid to rest all over the country. 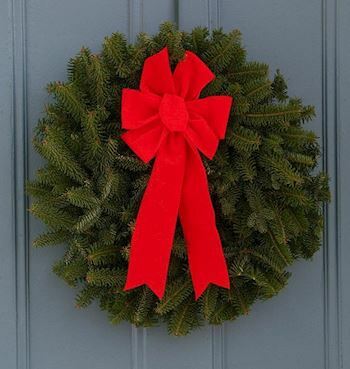 We will return $5 of every $15 wreath sponsorship you raise to support your organization—or, if your group wishes to only sponsor wreaths and not receive any money back, our “3-for-2 Program” is a perfect fit—for every two wreaths sponsored, a third wreath will be placed at the location your group chooses to support. 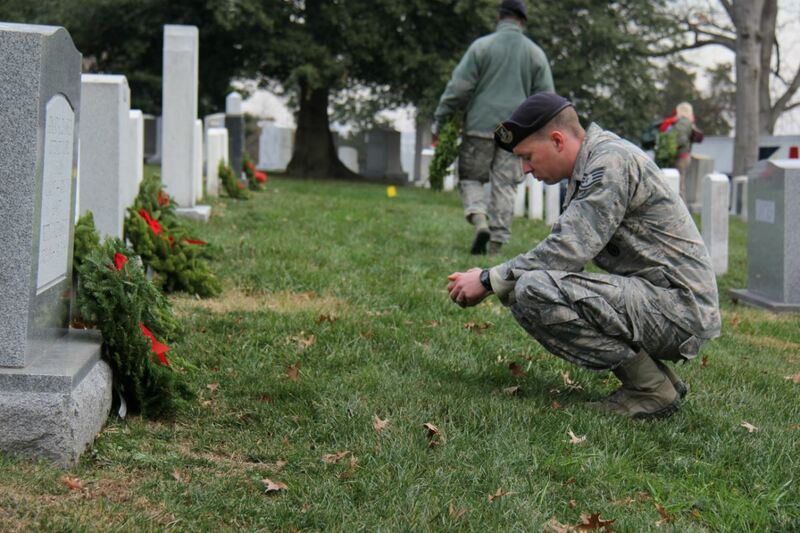 Select a cemetery you will raise funds for. 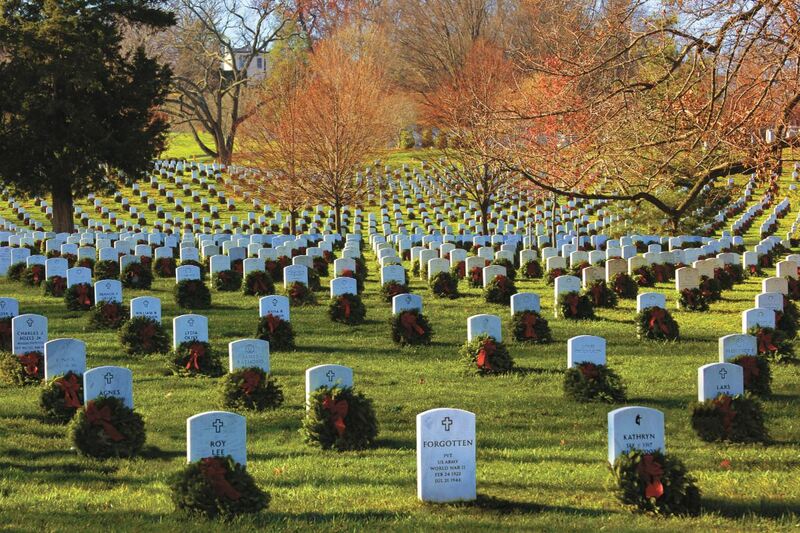 It could be Arlington National Cemetery, or a cemetery in your state or local community. 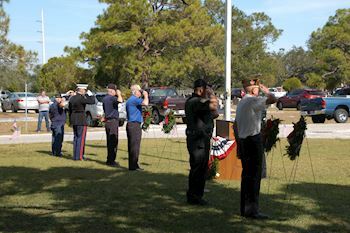 A list of participating locations, along with ID numbers, can be found on our web site. 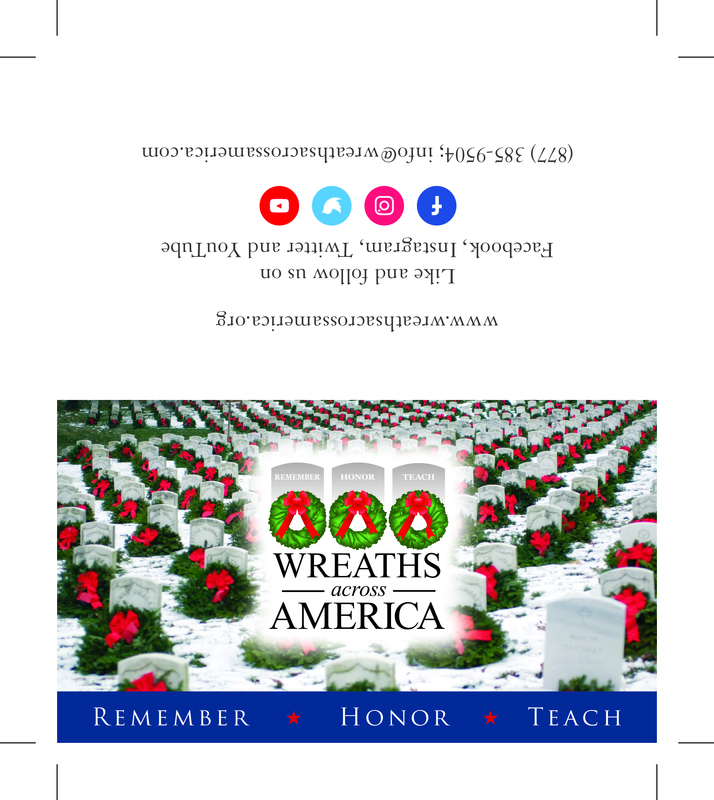 You must register with Wreaths Across America office by completing the Group Fundraising Registration Form below before you begin fundraising. You will be assigned a Group ID number. It is important to include this information on all donations remitted to us along with the participating Location ID number you are sponsoring. You will need a Group Leader. The group leader is responsible for passing along all information and communications from WAA to the rest of the fundraising group, for being the main point of contact for WAA, and for ensuring remittances are made at least every two weeks. 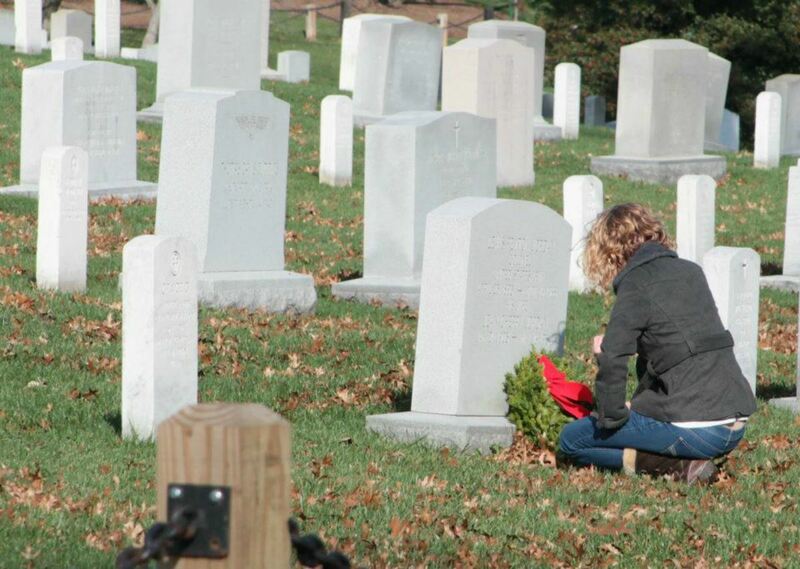 Read the WAA Reference Guide to get ideas on how to raise funds. 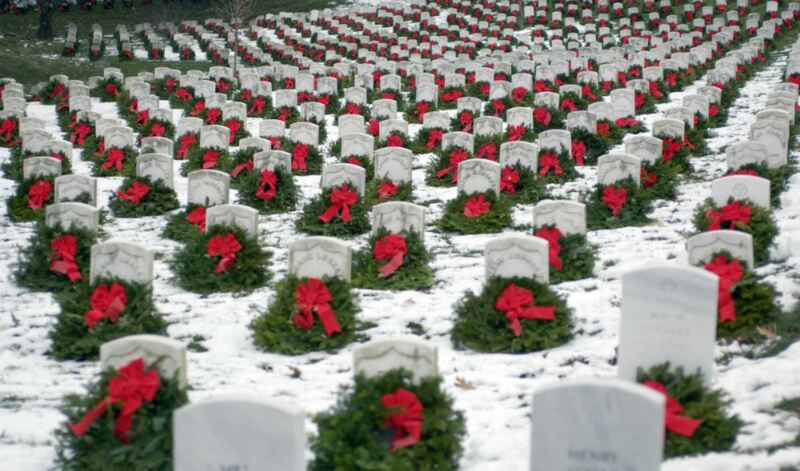 Wreaths Across America™ wreath sponsorships are $15 per wreath. 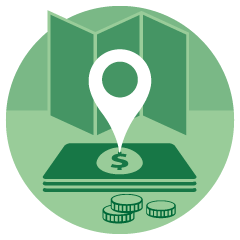 Funds are collected by each participating group. 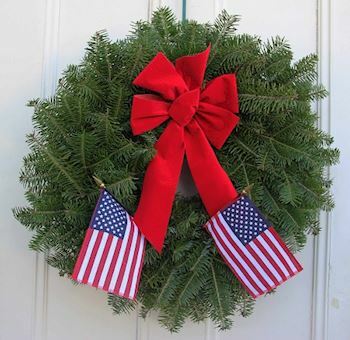 $5 of each $15 will be returned to the registered fundraising group on a 30-day reimbursement cycle. After you complete the below registration and your group has been processed you will receive a welcome email from WAA HQ providing you with your Group ID number and important information about fundraising for WAA. Please note: This form is to register your fundraising group only, and does not automatically register your location/cemetery for participation. 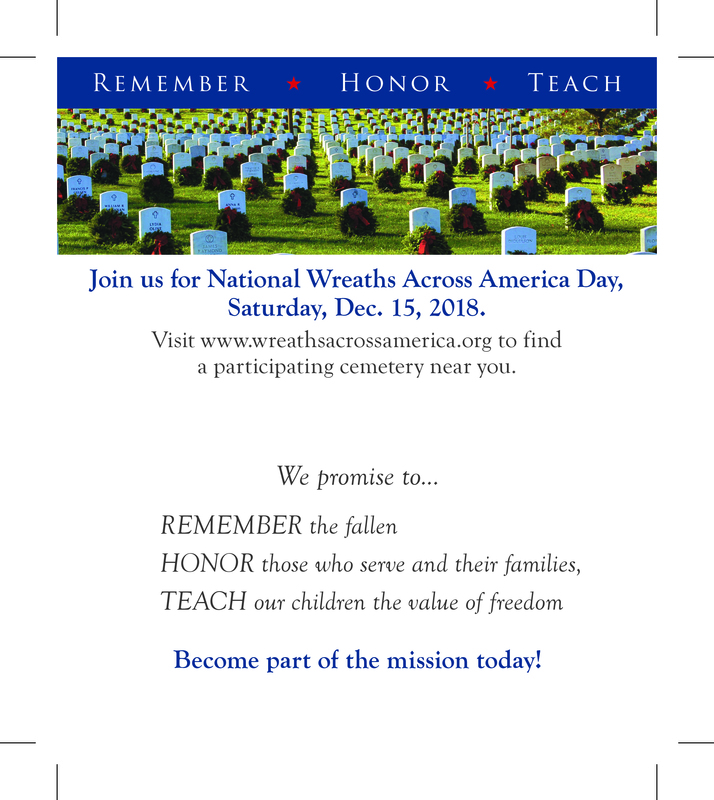 If you have a new location you would like to register for participation, please click here. You must read the policies for WAA Fundraising Groups here before filling in the form below, as you will be asked if you agree to those policies in order to register your group. Please allow a minimum of 48 hours for processing before you contact the office about your registration. This is a manual process, not automated. Please download and fill out the following forms. Make sure to use the Group ID that has been assigned to your Fundraising group. See the following for additional information that will help you in your fundraising efforts.